There is rich spiritual symbolism in the holiday stories. Taking your cue from the spiritual symbolism in the holiday stories, and aligning with the seasonal cycles of nature, can enrich your own journey through spiritual growth to self-actualization. Each of the holiday stories in their own way, and the cycling of the seasons, symbolize the same process: your spiritual growth through illumination of your soul and its growth in consciousness. The holy days and the winter solstice embody significant stages in our personal and spiritual growth. This is the season of rest, i.e. hibernation, in preparation for renewed life to begin its next phase in Spring. 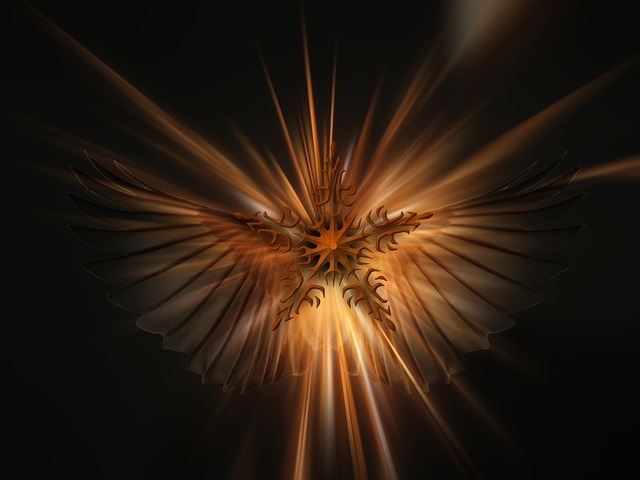 You likely feel instinctively inclined to connect with your Soul intentions for the coming year at this time. Many people manifest this inclination by making “resolutions”. Yet, your Soul intentions are deeper and more meaningful than traditional resolutions. Your Soul intentions are related to your Purpose, which is connected to your soul’s growth, and is what those inclinations to make resolutions are REALLY about. Looking deeper at the spiritual symbolism in the holiday stories…. To manifest, i.e. birth, your Soul intentions, there must parents. The father figure is the mind, the spirit, the masculine principle. The mother is the heart, the soul, the feminine receptive principle. In part, the holiday stories symbolize preparing and purifying yourself by transcending your Human Ego, harmonizing your mind and your heart. In other words, opening to your pure heart and mind working together to manifest your Highest intentions. Opening in this way, you are birthing the Light within you into your earthly self and existence. You are birthing your Soul intentions – YOUR Purpose. When the heart and soul are pure, then the “Child” is born not of the mind, but of the Universal Soul, or the Holy Spirit. It occurs in the form of Divine Love, entering the human heart and soul. (You know that feeling, don’t you? The one where you feel deeply inspired, awed, connected, and at peace)? 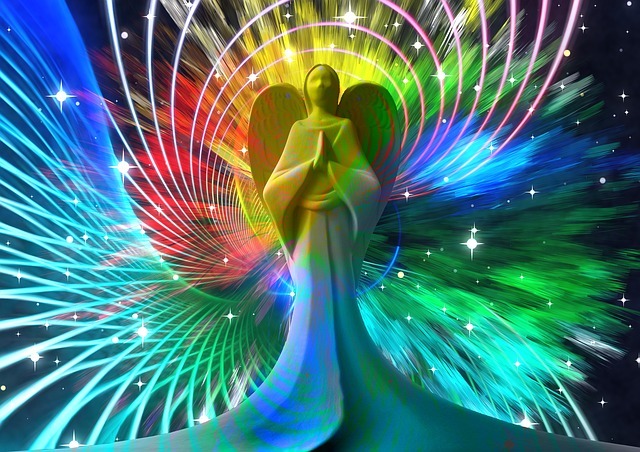 As Divine Love fills your heart, your Inner Light shines brighter, and your connection to your Purpose is stronger. You are manifesting your Soul intentions. As you enter this time of rest and preparation for renewal, reflect upon what you have manifested thus far, and the infinite possibilities awaiting manifestation. The shortening of days represents the veil of forgetfulness about why you came here and what your purpose is. As the daylight again increases, your Soul is released into the light, making its way back to Source. Thus, you have a rich opportunity now to re-connect with your purpose for this lifetime, and set your intentions for the coming year. Which seeds will you “resolve” to plant? As you connect with your Source, and open to your Soul’s intentions for this lifetime, do so without reservation or judgement. Recall the importance of your mind and intellect supporting and protecting that Soul connection through your heart as needed, unconditionally. Invite your human mind to accept that there is more to your Being than it alone can create, or even understand. It is a rich time for feeling and experiencing “awe”, which is the most relaxing, stress reducing human emotion. “Awe” is associated also with experiencing unconditional love in the deepest, most profound sense. 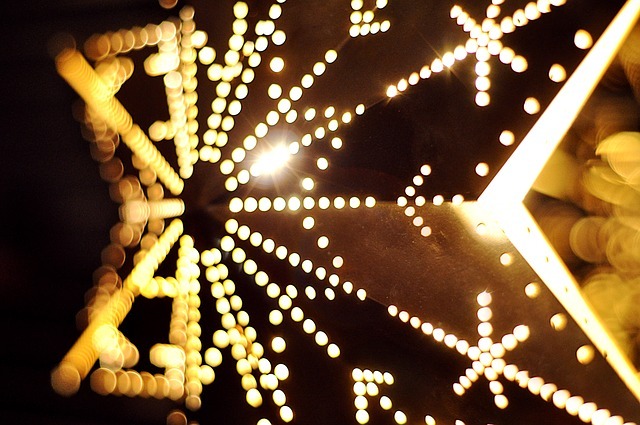 Letting your Light shine – more spiritual symbolism of the holiday stories. When you are too busy eating, drinking, amusing yourself in the human materialistic sense, there is “no room at the inn” for the one who has received the Divine within. In other words, your connection to Source isn’t as open, strong, and clear. Your higher self is not as “welcome”. When shifting to a “poverty of material conditions” (a.k.a. “the manger”), the connection is made clear, and this inner divine Light is projected from you. Others can see it from afar, and will be drawn in. 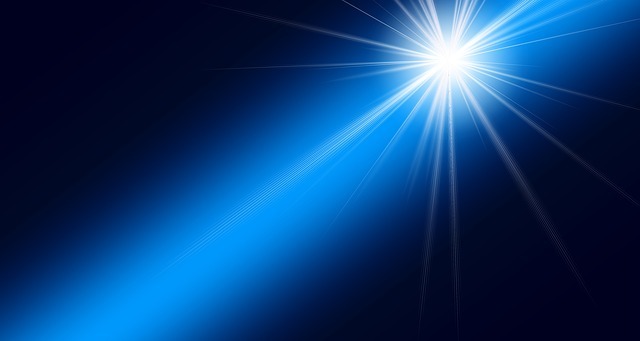 Your Inner Light is there to support, nourish, comfort, heal, and revitalize you on your journey. It is always within you, and available to you lighting your way. How will you let your inner light shine more brightly? What will you bring forth in the new year to bring your Purpose to Life? I invite you to spend this holy time of solstice reflecting upon your own journey, and opening your pure heart to the possibilities within. What infinite potential lies within your pure heart, your Soul’s intentions to be birthed in this lifetime? How can your mind best support this process without your Ego’s judgement interfering? How will your masculine and feminine aspects harmonize to birth your Purpose? I find this a very deep, interesting, and complex topic to ponder. I do not pretend to be an expert in it at all. What I do profess to be an expert it, is doing my personal best to live my own version of that. No one else can do it for me. You are an expert in living your own journey. Only you could have gotten to exactly where you are, the way you did. The path you are following is You-nique yours to follow. You are exactly where you are meant to be, how you are meant to be at all times. You meant to experience not only the joy, but also the feelings of fear, doubt, and judgement around yourself and your journey. (I bet you even objected in your own way, if only a little, to the idea of being “an expert in your own journey”, didn’t you?). Those difficult feelings are your friends and guides. They are showing you the opportunities for your next steps in your personal growth: to dissolve those fears, doubts, judgements and further purify yourself. They are showing you where you are blocked from more fully BEING YOU. The purification process opens you to receive even more clearly from Source, and let your inner light shine even brighter. In terms of the spiritual symbolism of the holiday stories, it is purifying your heart so that you can experience spiritual birth, and hence renewal. In so doing, you move closer to living in alignment with your Soul intentions. Intentionally. Thank you for BEING You. In BEING YOU, you fulfill your Purpose, filling your space in the WHOLE. In the spirit of the spiritual symbolism in the holiday stories, I invite you to devote some quiet, quality time to going within. Connect with stillness, and allow yourself to listen to your own Inner Wisdom. It is guiding you to your next steps with energy, joy, and peace. During this sacred open time, let your Inner Wisdom help you determine your Soul intentions for 2017, and resolve to align with those to the best of your ability. The world needs you now more than ever to bring your Purpose to Life, and Life to your Purpose. Do you feel stuck, anxious, stressed, or even have some chronic pain? 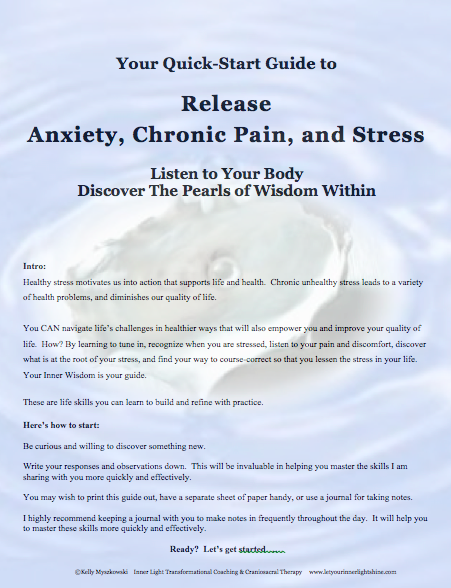 Get your copy of my free “5-Step Quick-Start Guide to Release Anxiety, Chronic Pain, and Stress” today. It will help you move forward. That will also connect you with me to receive free on-going tools, resources, and support for optimal energy, joy, peace, and well-being. In the spirit of the spiritual symbolism in the holiday seasons, I see your Light! I see your Greatness! May you and yours have happy, healthy holiday and winter solstice seasons! Thank you! I love you!